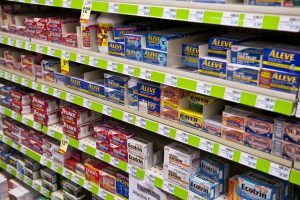 Researchers at McGill University recently published results from a clinical trial of the common non-steroidal anti-inflammatory drug (NSAID), naproxen, showing that it was ineffective at preventing Alzheimer’s disease (AD) in cognitively unimpaired people with a family history. I am not surprised by this result, as naproxen is a nonselective inhibitor of inflammatory mediators. Dr. Breitner, the lead investigator on the manuscript, is an excellent physician scientist. The study authors indicated that the results do not rule out a benefit from mid-life anti-inflammatory drugs, and that the study turned out to have too few participants to detect a 30% reduction over a two-year period in the rate of composite cognitive change. While the study cohort was composed of individuals with family history of AD, in the future, there will be value to screen potential participants for such clinical trials for threshold values of traditional cerebrospinal fluid (CSF) biomarkers, ß-amyloid and tau, and/or newer biomarkers such as amyloid positron emission tomography (PET) or neurofilament light chain to improve comparison and parse out different populations and/or stages of disease that may be critical for therapeutic effect. Current research, including that in our lab briefly described in the April 5th Facebook LIVE episode, suggests that a more selective inhibition of the detrimental inflammation in AD, with a preservation of repair mechanisms, should be more effective. Selective inhibitors are the goal of our laboratory. Unlike the sentiment expressed in this report, I am not “pessimistic” about treating inflammation as a contributor to cognitive loss in the context of accumulation of amyloid and the potential to slow decline at some point with novel highly specific drugs. It is important to note that with each completed study we learn. Our ideas “evolve” and our conceptual framework for the next trials are modified. 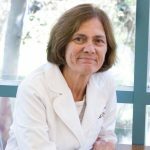 Dr. Tenner earned her PhD from UC San Diego and is an esteemed Professor in the UC Irvine School of Medicine and the School of Biological Sciences. Throughout her career, Dr. Tenner has received numerous academic awards and has published over 100 scientific journal articles. Dr. Tenner’s research examines the role of inflammation and how our body’s immune system responds to Alzheimer’s disease – and using this knowledge, her team uses mouse models to test possible new treatments.